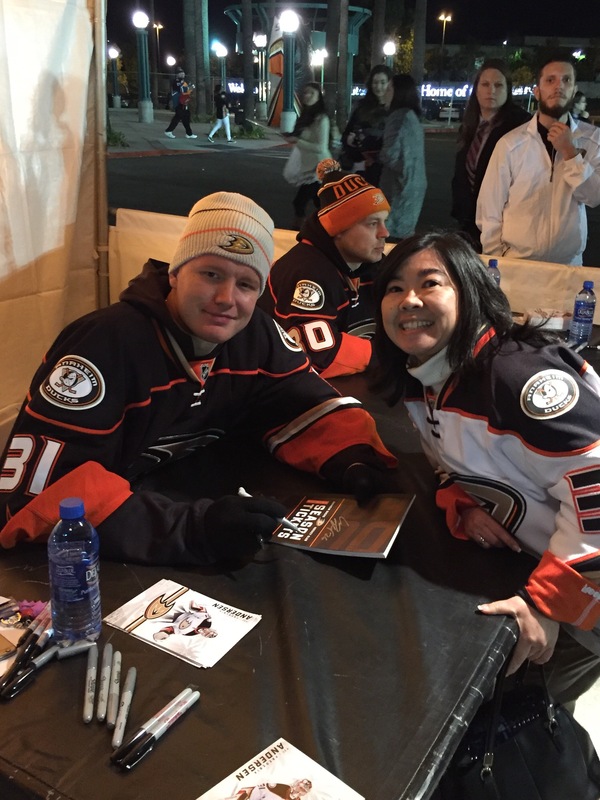 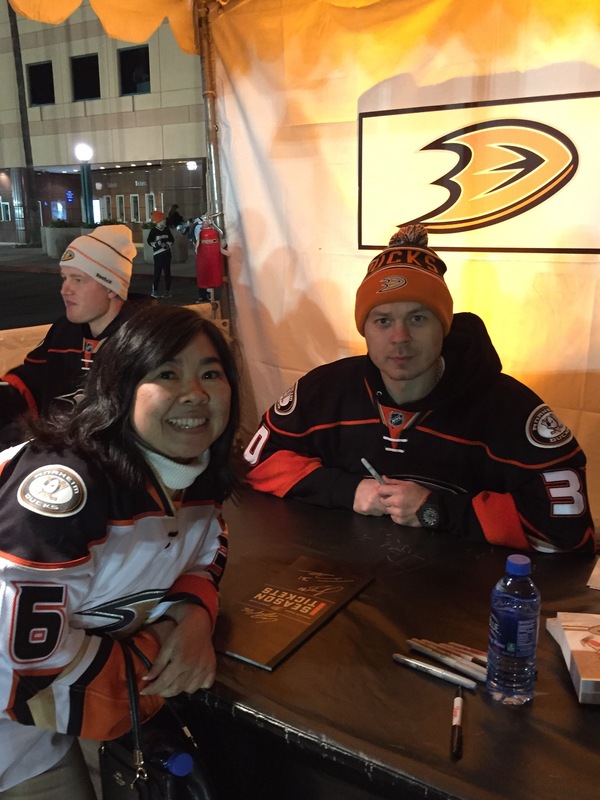 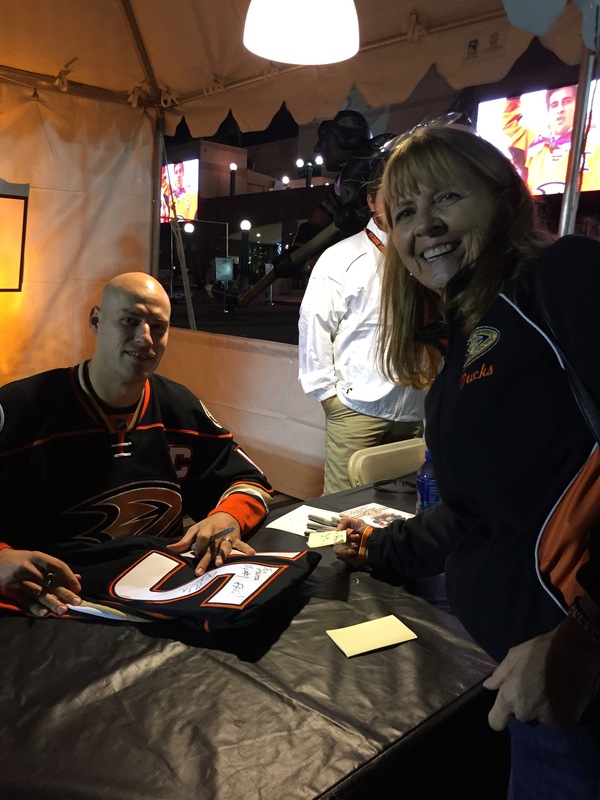 Every year the Anaheim Ducks holds an exclusive Season Ticket holder night where the fans can meet their favorite Anaheim hockey player. 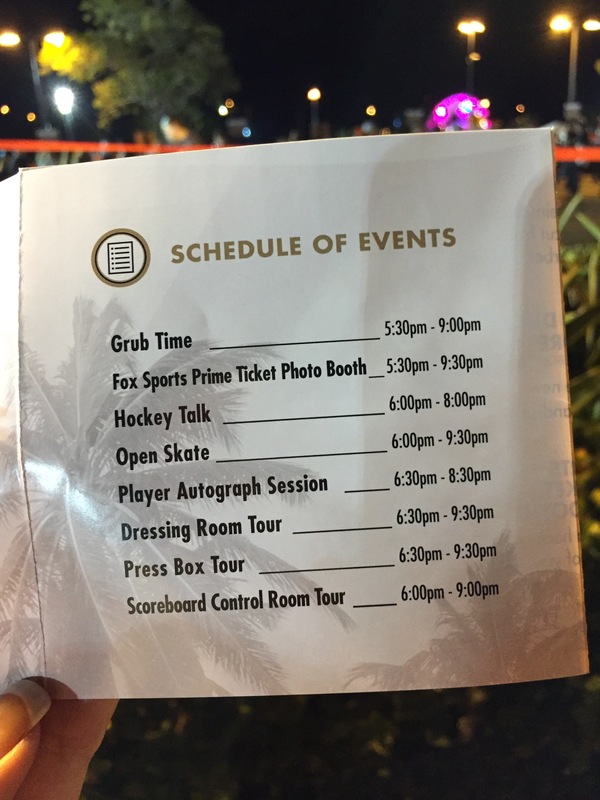 This year’s event was held on November 3 from 5:30 PM to 10 PM. 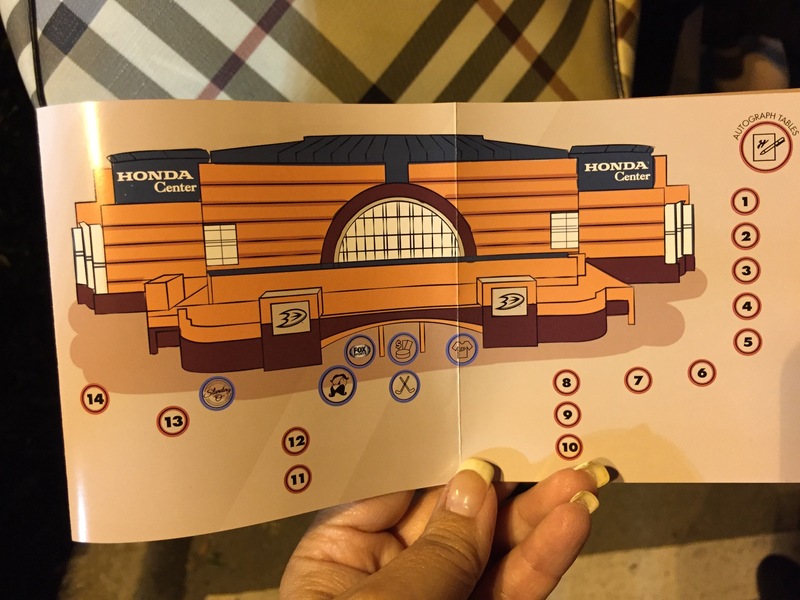 As you enter the gates, you’re handed a map of the festival and a voucher good for a hotdog or pizza and a drink. 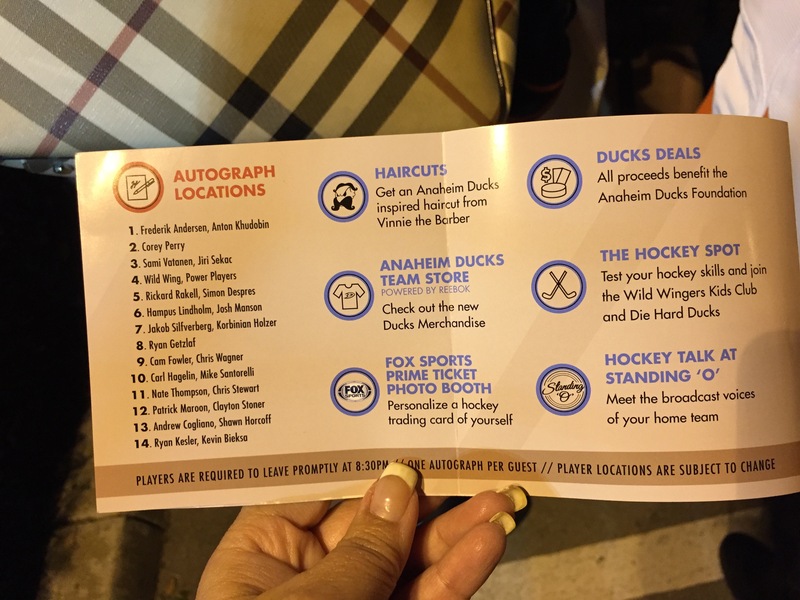 It’s up to you to decide if you want to get in line for a players autographs, tour of the locker room, tour of the inside of the scoreboard room, skate on the arena ice, or get a haircut from Vinnie the barber? 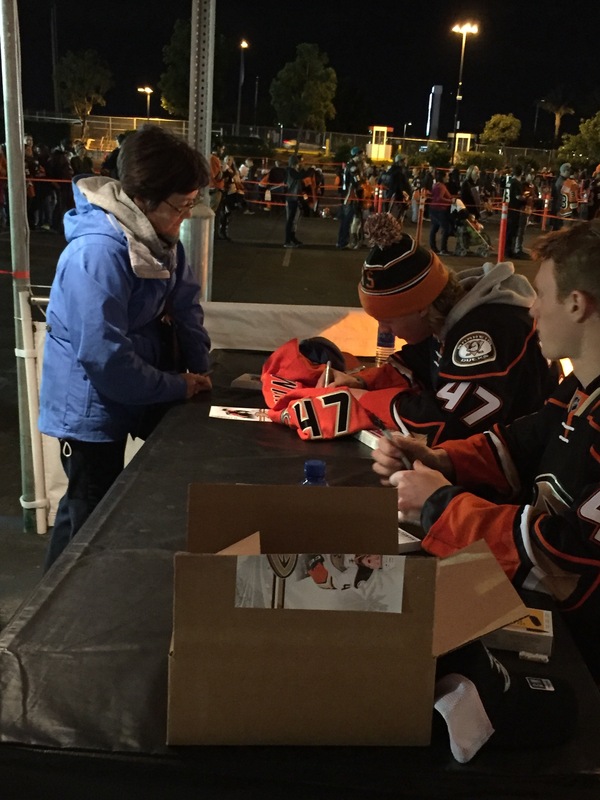 Most of the fans stood in line to get an autograph from their favorite player, or as many players autographs as they can in 3 hours. 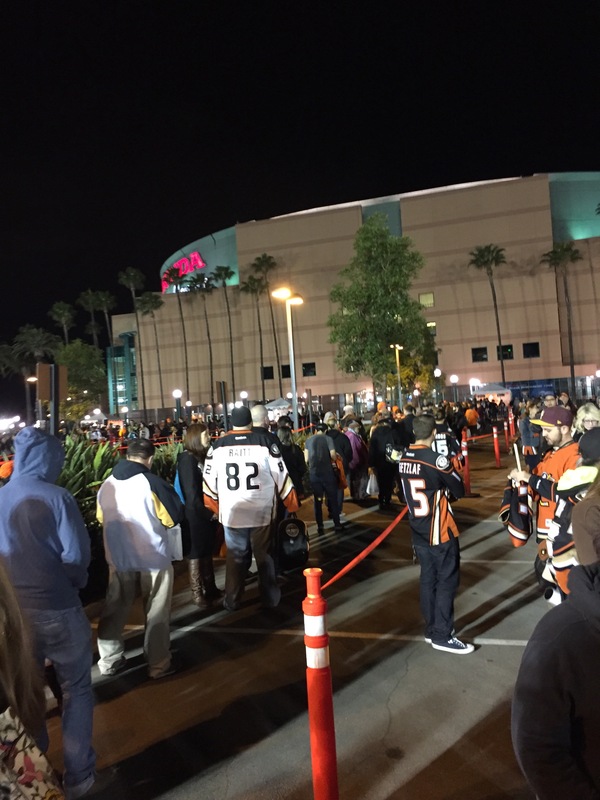 This year was not very busy, perhaps due to the potential inclement weather or the time change? 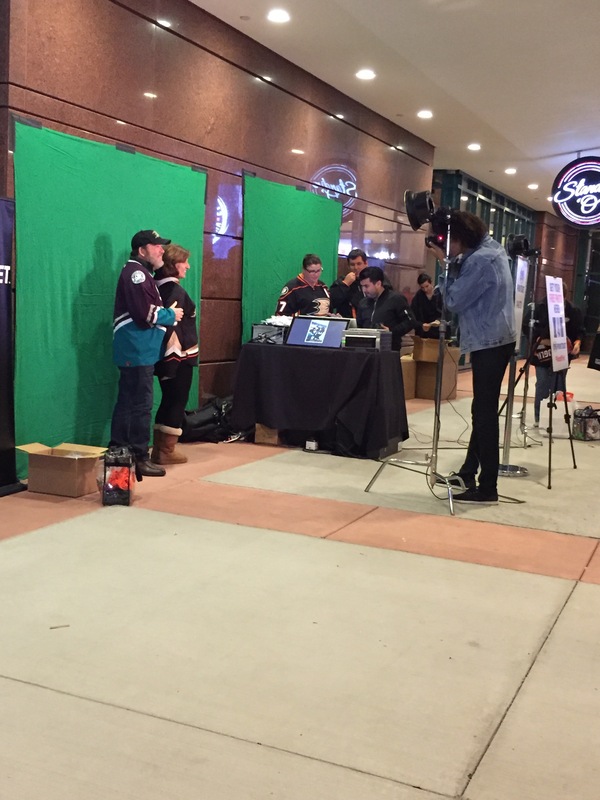 The average wait time was 20 minutes to half an hour for most players. 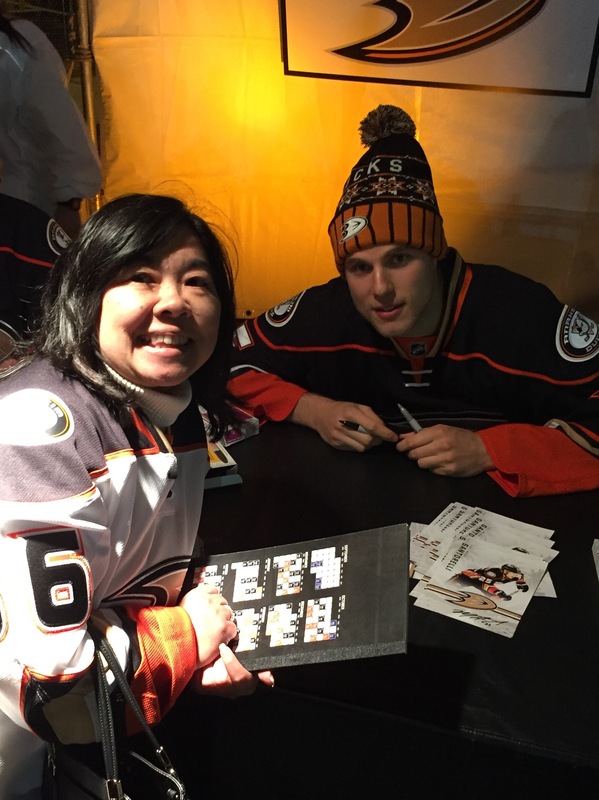 However, more popular players like Getzlaf, Perry or Kesler were as long as an hour and a half. 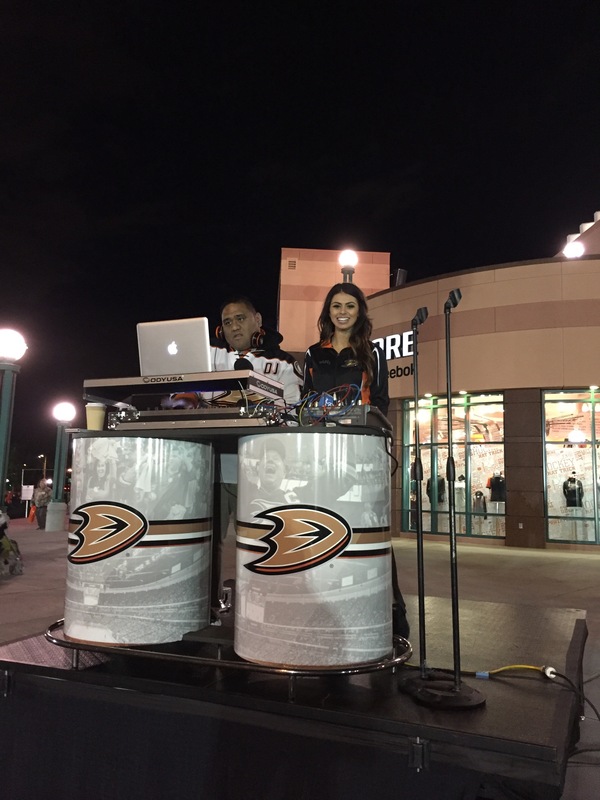 DJ JoJo (@JoMaestro_) was spinning music, and our powerplayers were taking pictures with the fans. 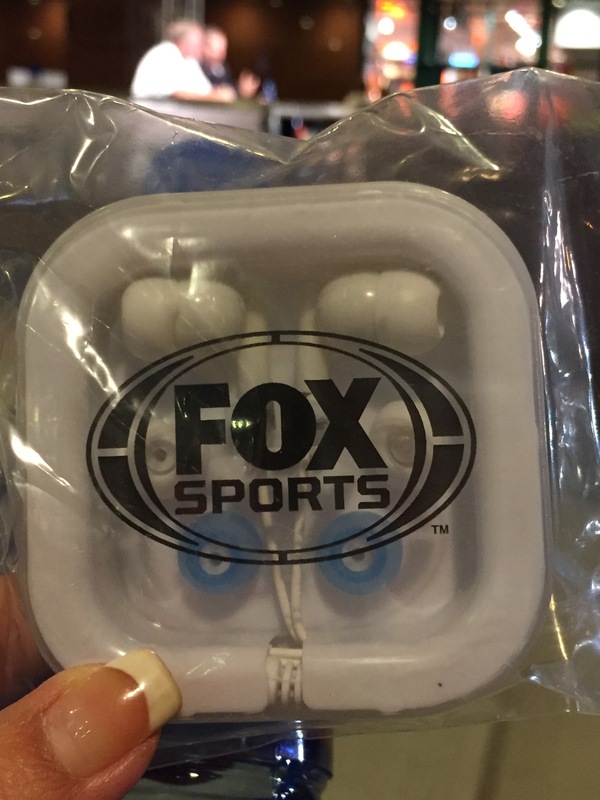 FoxSports even had a photo booth for fans to take home pictures as a souvenir of the event, and also gave away free earbuds just for stopping by their booth. 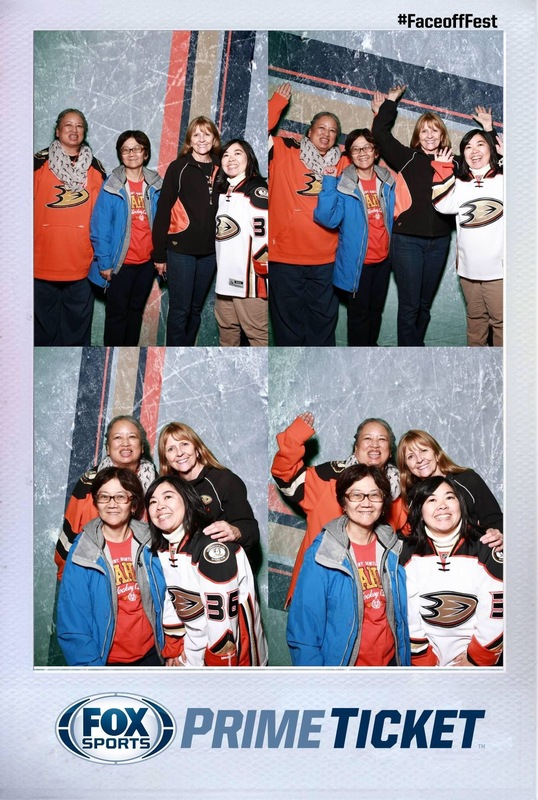 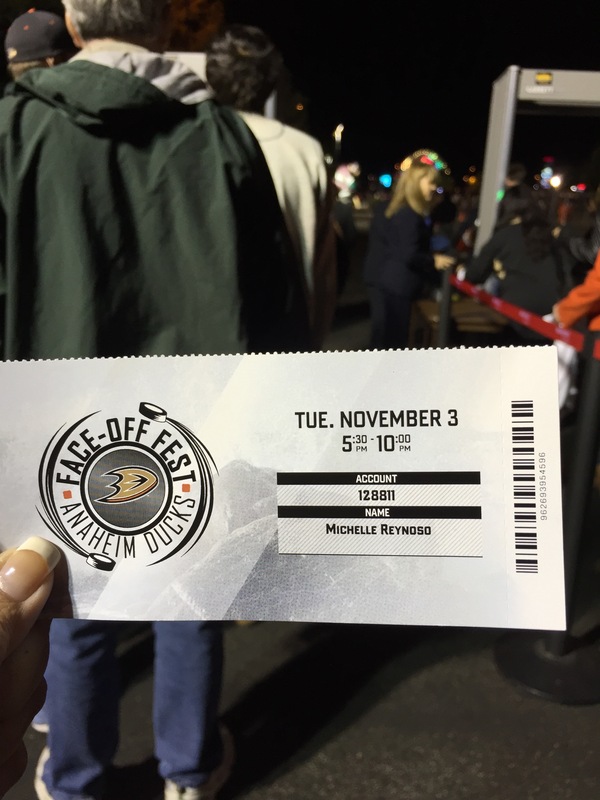 Overall, it’s a great event, and the Anaheim Ducks provide this for free to all their season ticket holders. 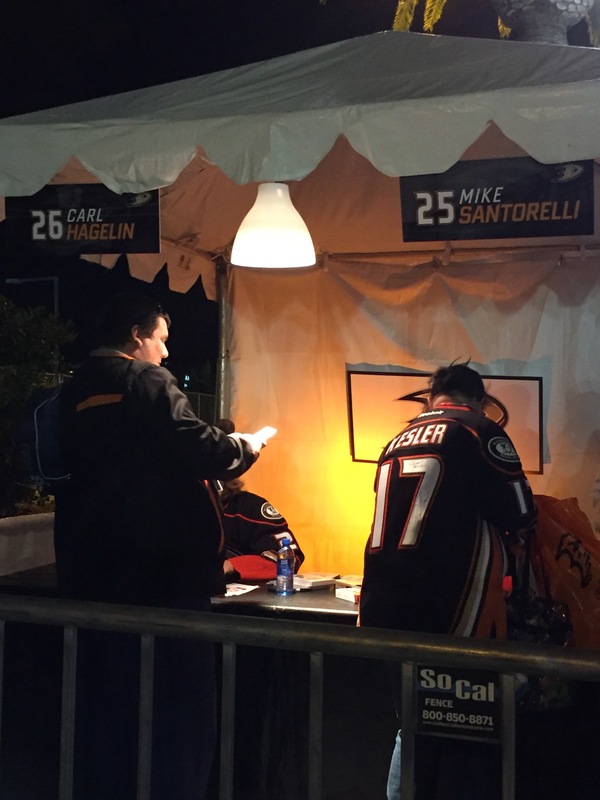 They don’t have to do this, but I’m glad they do.